"But have you heard about the choreographer Anneke Hansen, or the Irondale Center in Fort Greene? She’ll present her new work hymn December 2–5, and I think her delicately and carefully layered phrasework would be perfect for the elegantly aging theater. Hansen comes from a strong New York tradition of nuanced movement. She’s worth paying attention to." hymn is an evening-length dance choreographed by Anneke Hansen. Devised as a solo, it will be performed by two women and four men. hymn examines devotional acts of physical labor, the unifying commonality of the human form, how the ideas of dissolution and continuance converse, and the ways in which committed effort can amount to the raising of praise. 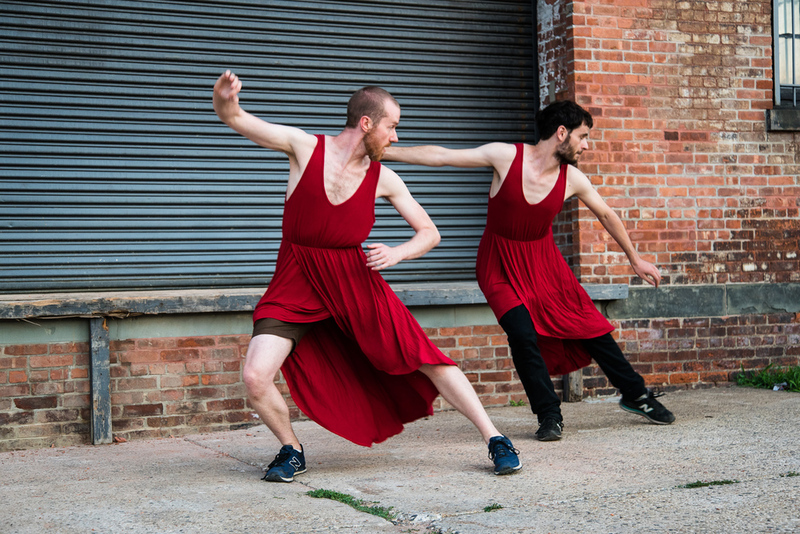 "Womanly" movement vocabulary is transposed to "manly" canvases, and constant abstract action is juxtaposed by more mercurial and poetic dancing. hymn is an exploration of female strength and power, and of masculine sensitivity and sensuousness.